In the Philippines, eating on banana leaves is very common especially in what they call "boodle fight." Rice, meat, vegetables, fish or depends on your preference, it's all arranged in one single leaf and everyone are either sitting or standing, eating with bare hands. 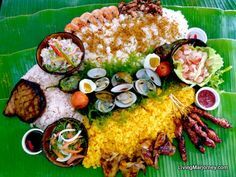 For some countries like in the south Indian states, eating on banana leaves is a tradition or a customary. 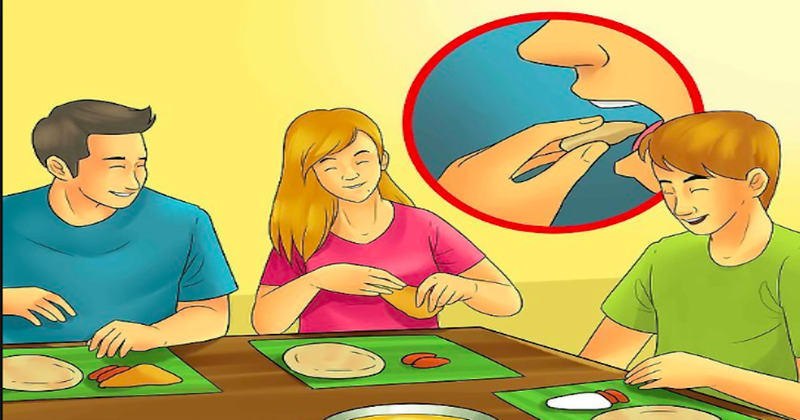 But did you know that eating on banana leaves have several benefits? 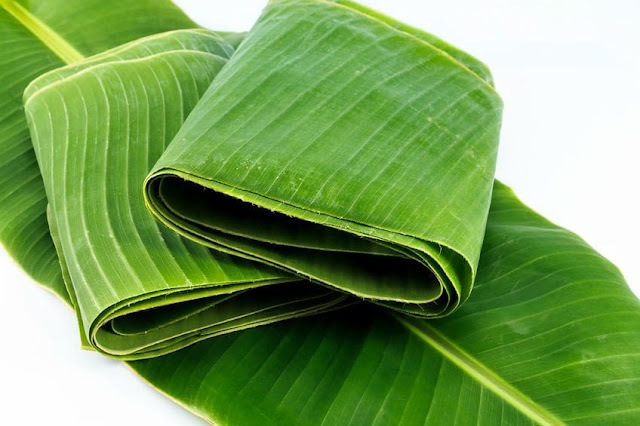 Banana leaves contain plant-based compounds called polyphenols such as epigallocatechin gallate, or EGCG, which can also be found in green tea. These compounds are natural antioxidants that battle free radicals and prevent diseases. The food absorbs the polyphenols from the leaves so that you get the benefit of the nutrition. It is also believed that it has anti-bacterial properties that kill all the germs in the food. 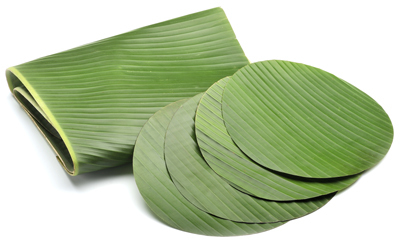 Banana leaves have a wax-coating texture with a subtle and unique flavor. When the hot food is placed on the leaves, the wax melts and it adds flavor to the food. 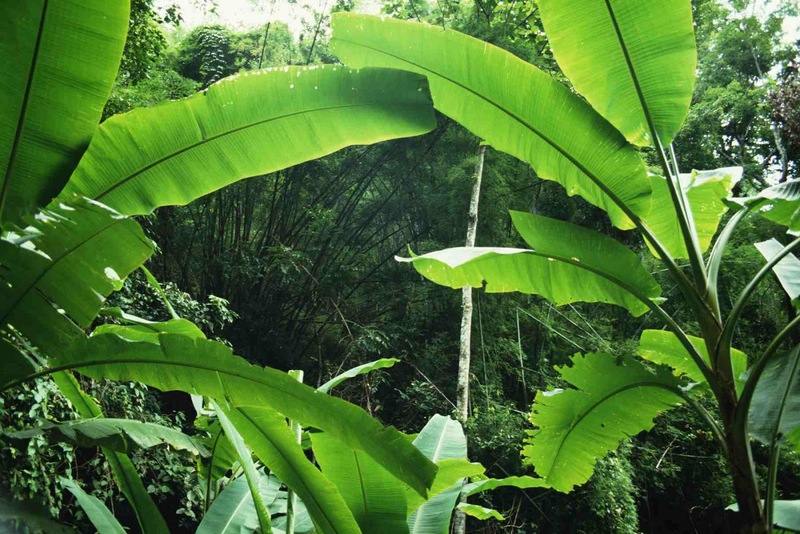 Unlike plastic or Styrofoam plates, banana leaves are disposable and biodegradable, meaning it decompose. 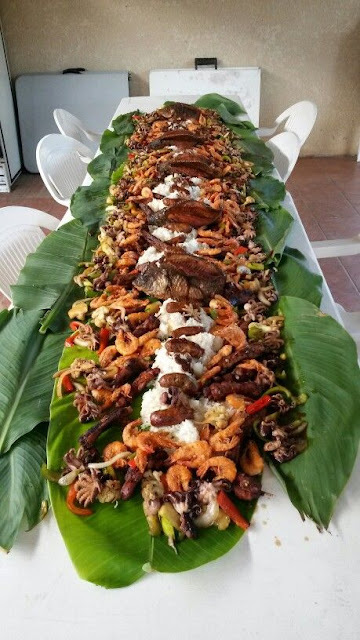 Eating on banana leaves don't need so much cleaning. All you need to do is rinse it with water and it's ready to use. 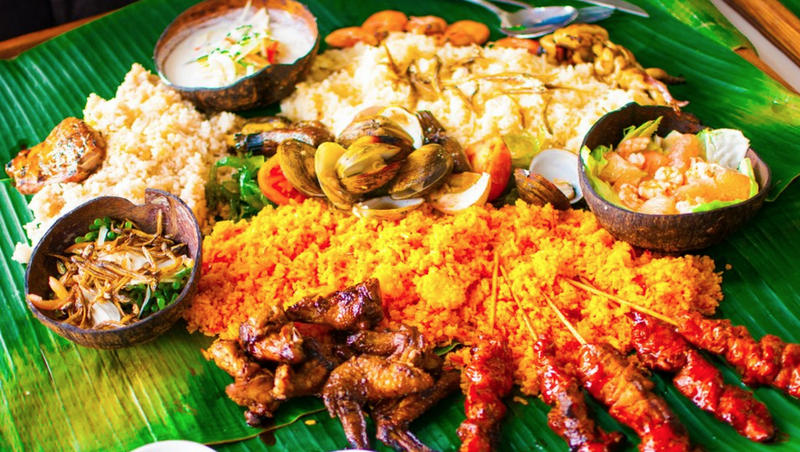 Banana leaves have no chemical that will harm your health, unlike plastic or Styrofoam plates. Using plastic or Styrofoam eating utensils is very expensive and not healthy. Eating on banana leaves is not just safe but also free. 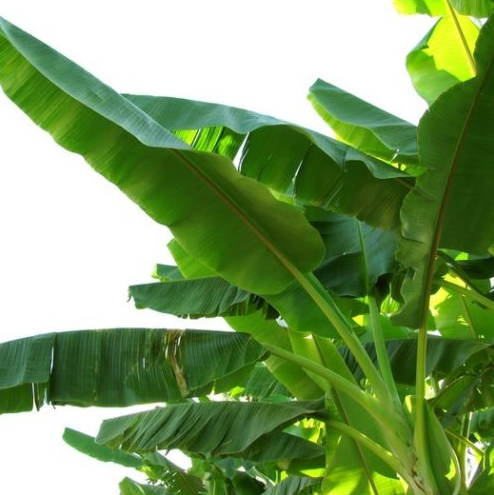 You can just ask for a piece of leaves on your neighborhood or you can just pick banana leaves in your backyard if you have a banana tree.